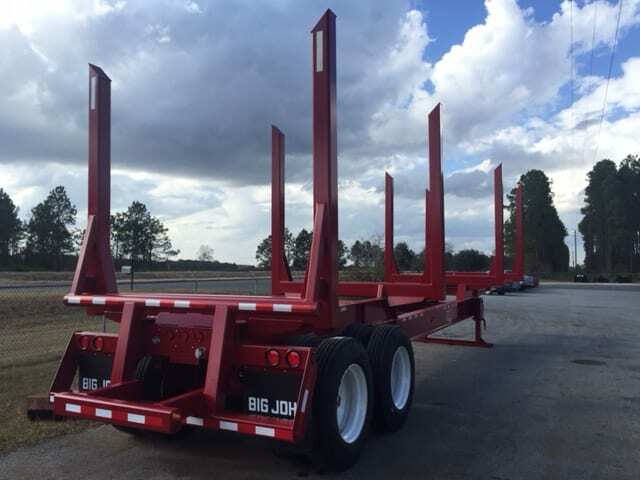 Length: 40 ft. / 42 ft. 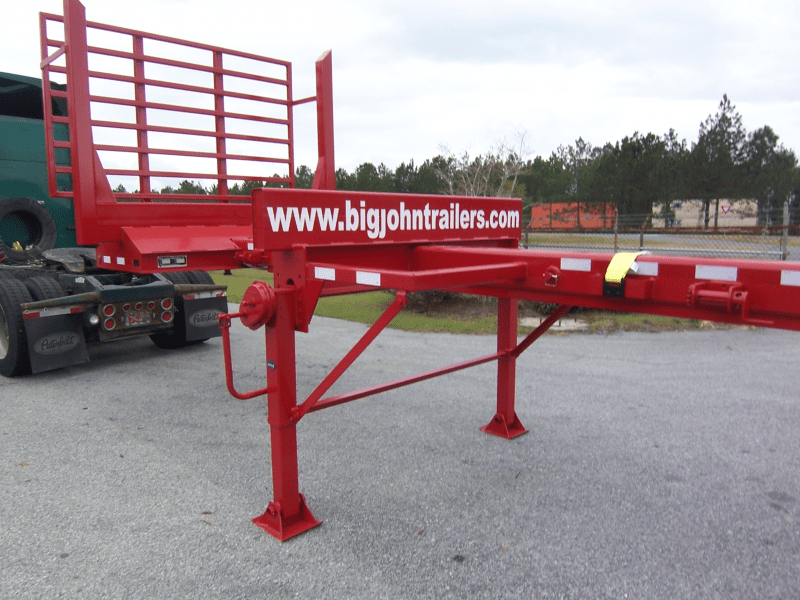 Length: 40 ft. - 45 ft. 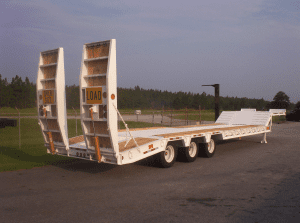 Length: 40 ft.- 42 ft.
*Standard specifications for all log trailers include: Radial tires, unimount wheels, tandem axles, Hutch suspension w/ H.D. 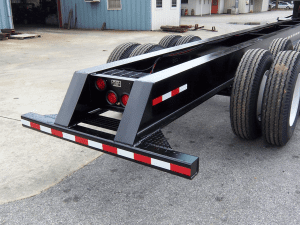 3 leaf springs, D.O.T. lighting. Options available upon request. 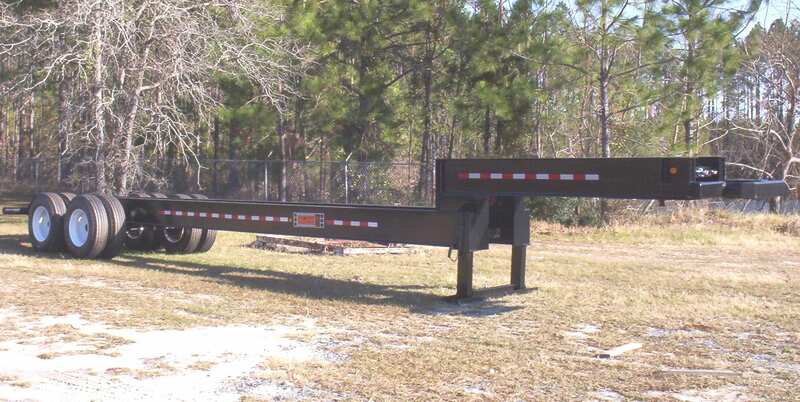 Length: 46 ft. - 51 ft. 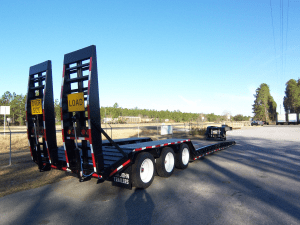 Length: 45 ft. - 51 ft.
*Standard specifications for all loader trailers include: Bias ply tires, unimount wheels, tandem axles, D.O.T. lighting. Options available upon request. 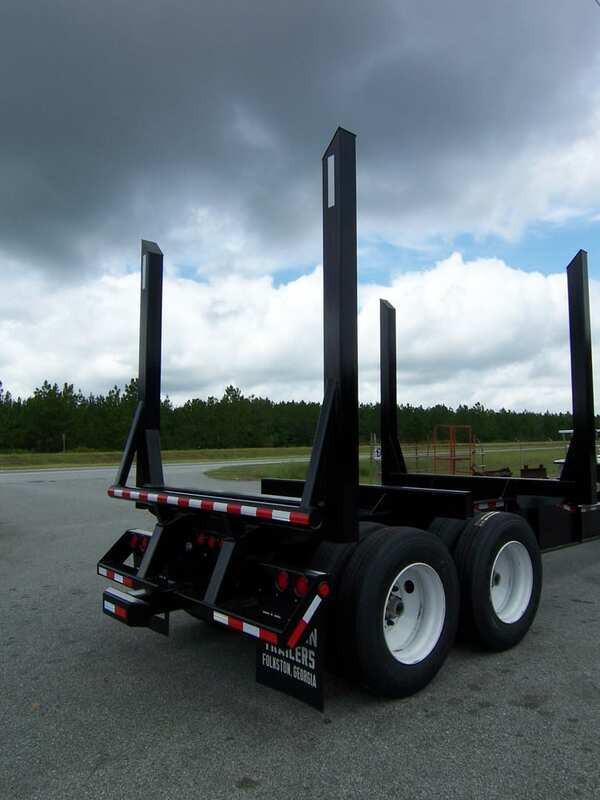 Standard specifications for all lowboy trailers include: Radial tires, Unimount wheels, tandem axles, Hutch 9700 suspension w/8 leaf springs,Trucklite lighting. Options available upon request. 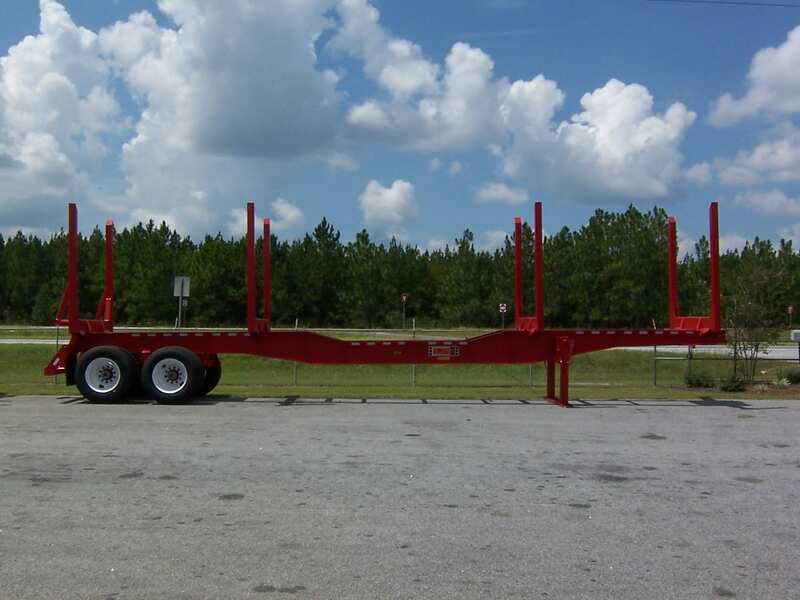 *Standard specifications for all lowboy trailers include: Radial tires, Disc unimount wheels, D.O.T. lighting. Options available upon request. 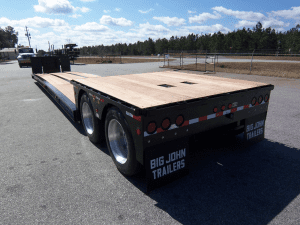 Economy style 25 ton lowboy with full length wood deck. 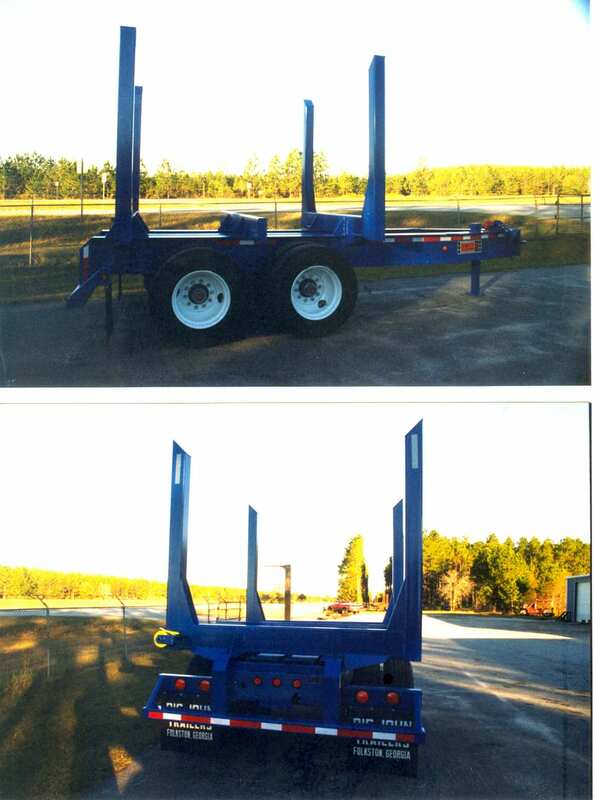 Can be built with or without motor grader ramps on neck. 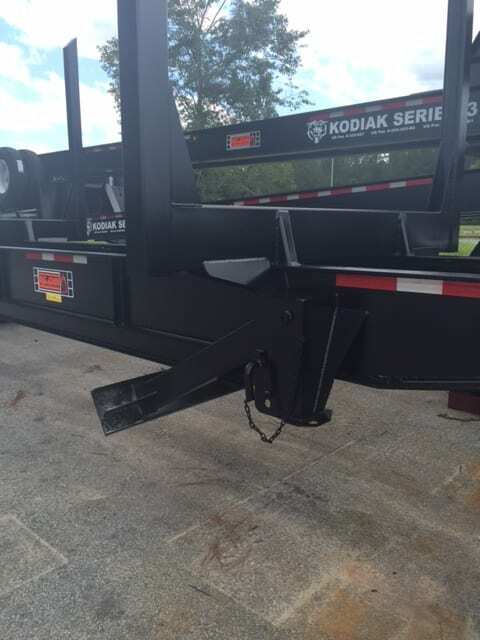 Deck height is 37 inches. 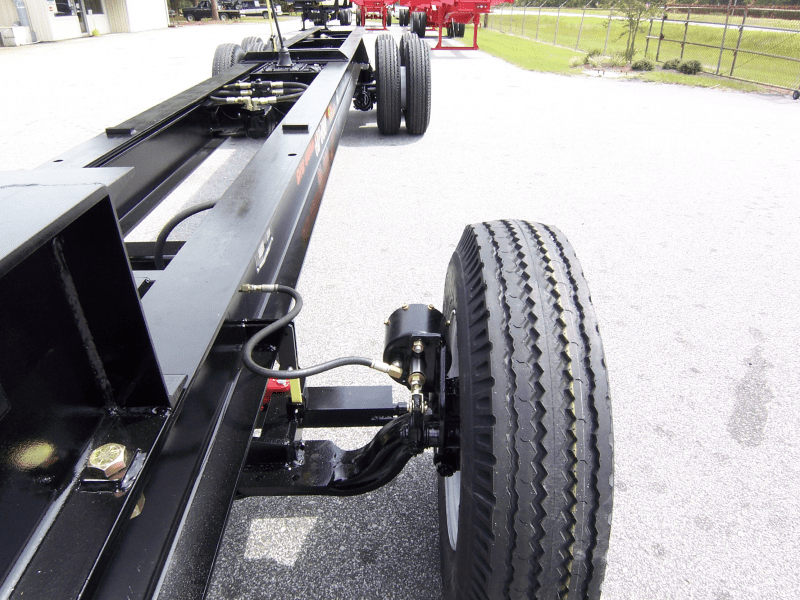 ​*Standard specifications for all log trailers include: Radial tires, unimount wheels, tandem axles, Hutch suspension w/8 leaf springs, D.O.T. lighting. Options available upon request. 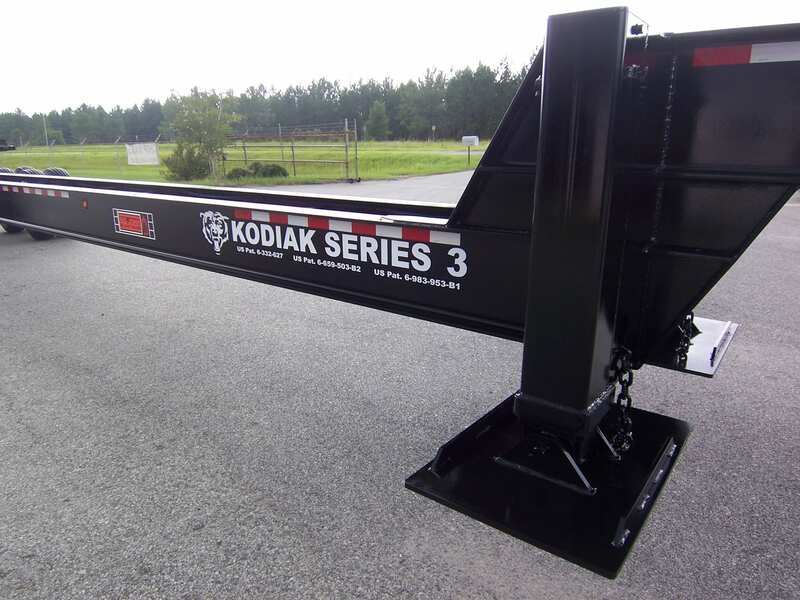 Length: Extends 45 - 65 ft. 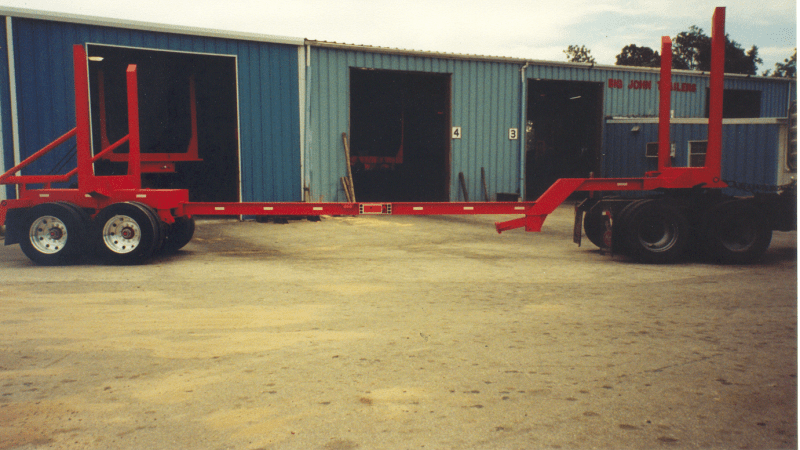 Axles: 25,000 lbs. cap. ea. 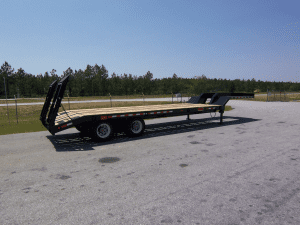 *Standard specifications for all log trailers include: Radial tires, unimount wheels, tandem axles, hutch suspension w/ 3 or 8 leaf springs, D.O.T. 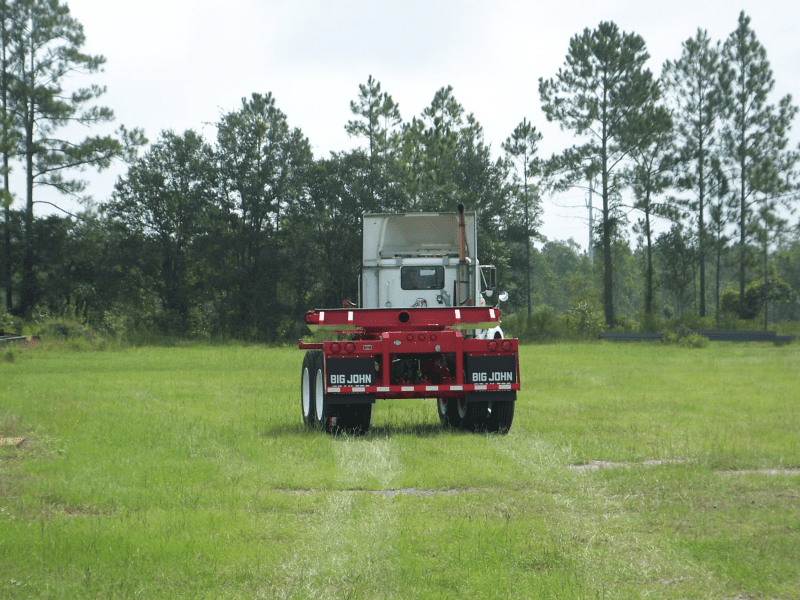 lighting, extendable pole: square tubing. Options available upon request. 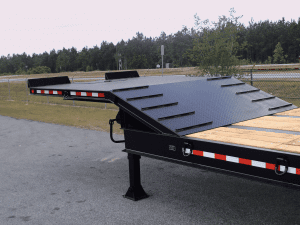 Bottom Threshold Plate: 3/8" x 10" Full Width.